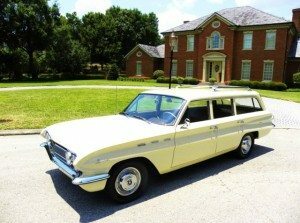 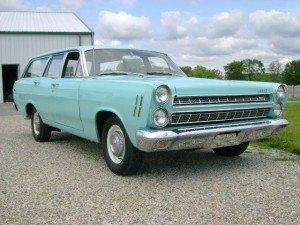 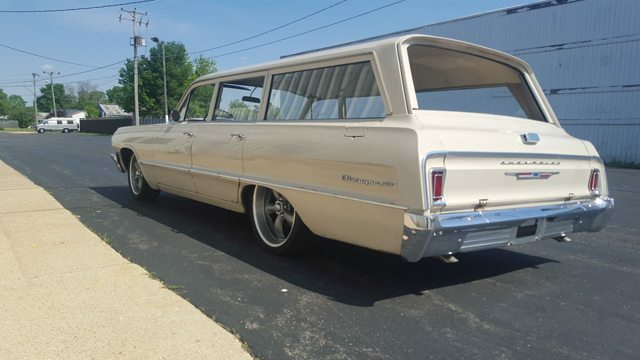 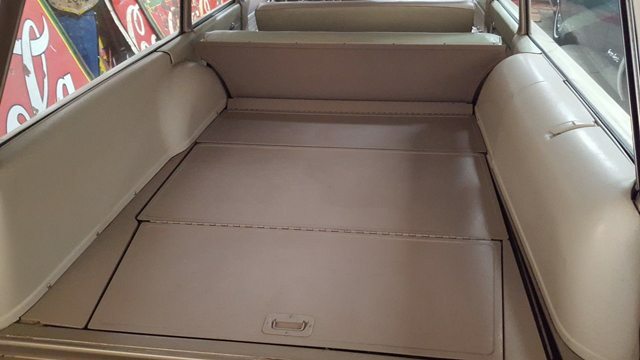 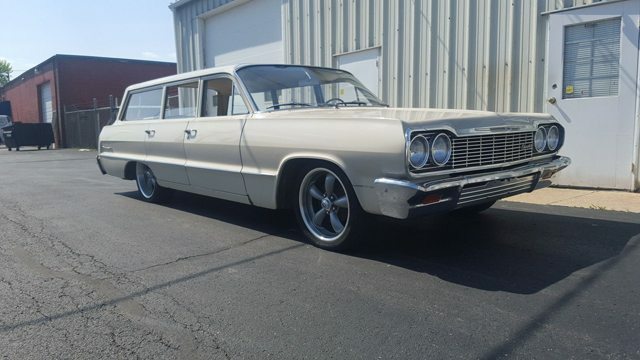 This 1964 Chevrolet Biscayne found on Ebay with a BIN of $14,500 is powered by a 230ci 6 cylinder engine and a 3 on the tree manual transmission which seems like the fitting powerplant for Chevrolet’s entry level full size car. 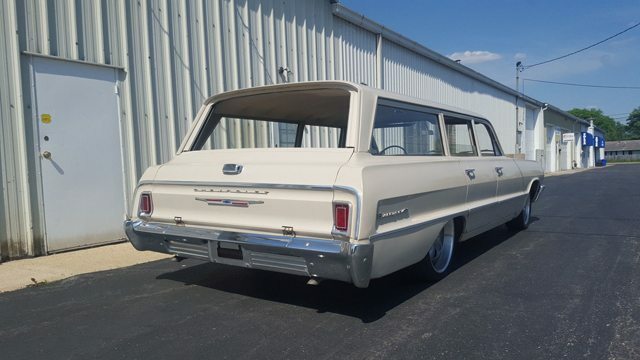 With the wagon adding close to an additional 500 pounds over the sedan, and no power options the new owner is sure to get a good workout in especially if parallel parking is required. 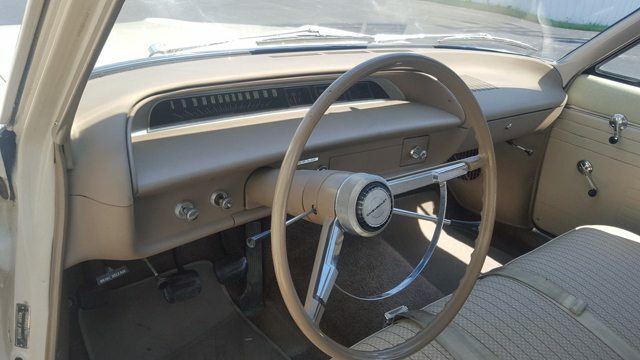 The seller states the there are just 43,000 original miles on the car and that the paint is mostly original. 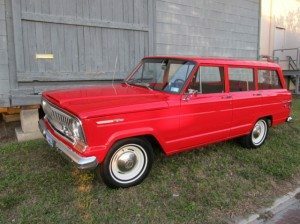 It is said to run well with the exception of a whine that he believes may be the throw out bearing. 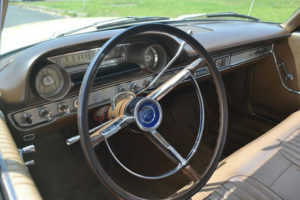 The owner has lowered the Biscayne 2″ and added 18 and 20″ Coy wheels but the original painted wheels with dog dish caps along with the original shocks and springs are included. 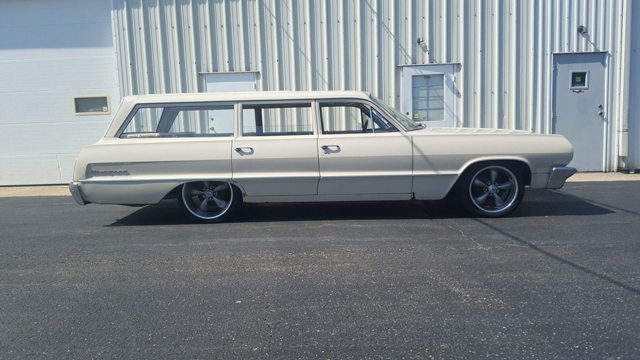 The seller says he’ll knock $800 of the price if the buyer doesn’t want the Coy wheels included. 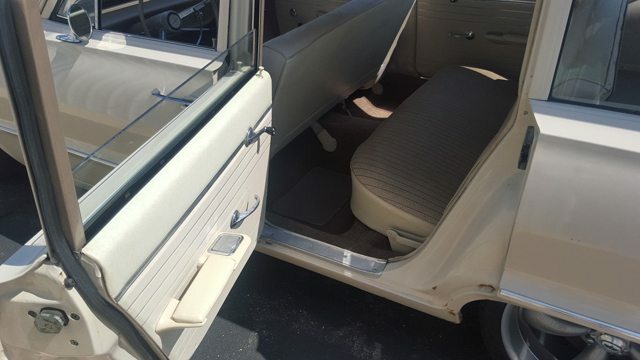 There is evidence of some rust developing but the seller states that the floors are in good shape with some rust on the front left floor brace. 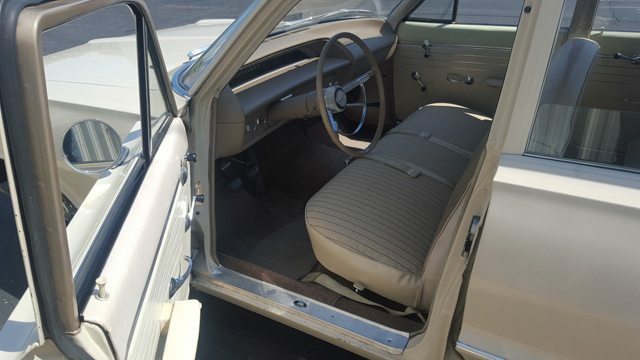 The interior looks very solid with no evidence of cloth wear and just a little bit of minor scuffling. 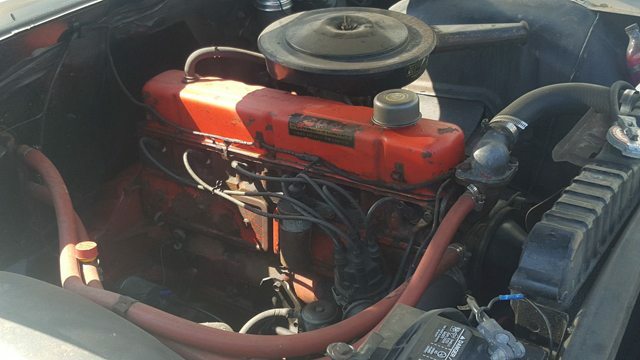 The engine bay looks untouched and about what you would expect on a low mileage 53 year old car.